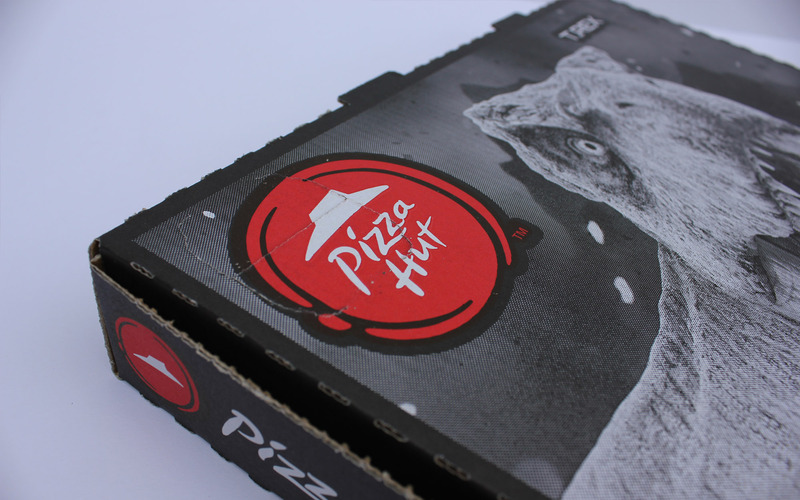 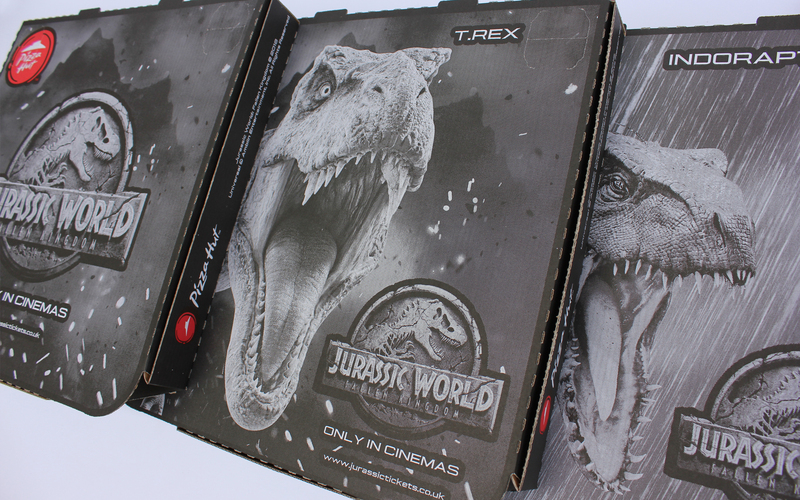 Pizza Hut run a film partnership with Brand Culture in the UK for Jurassic World: Fallen Kingdom – sequel to the 4th most successful movie of all time. 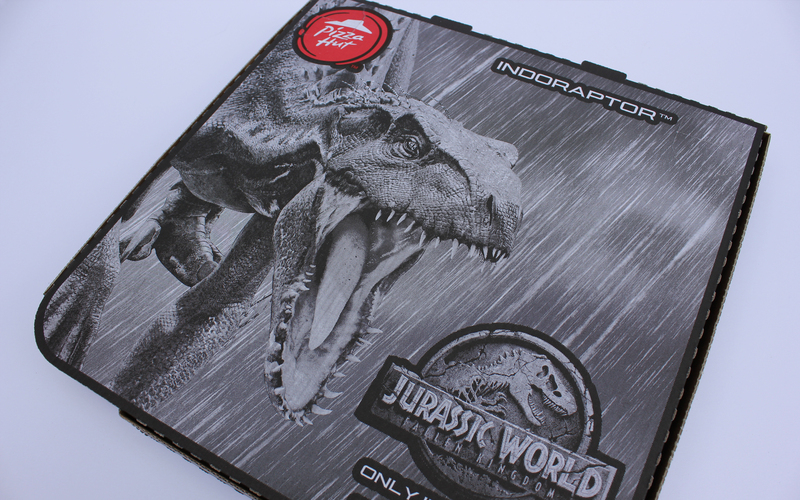 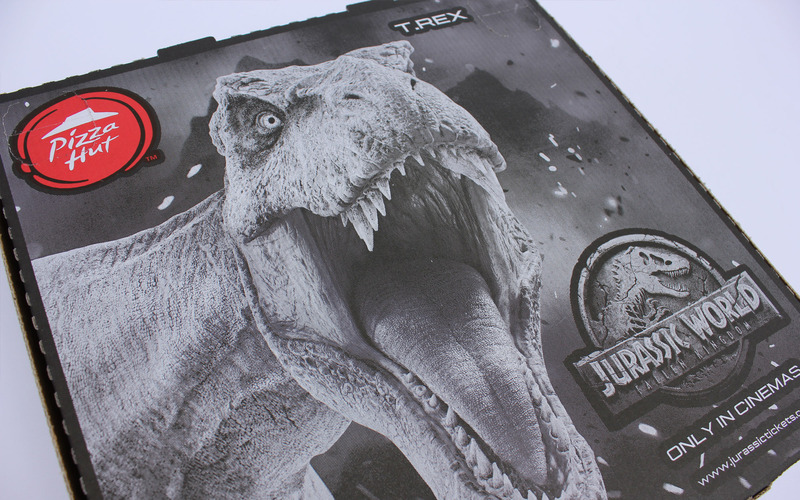 Saica Pack collaborated with both Pizza Hut and Brand Culture to develop 3 new packaging artworks, featuring the iconic title treatment, T-Rex and Indoraptor. 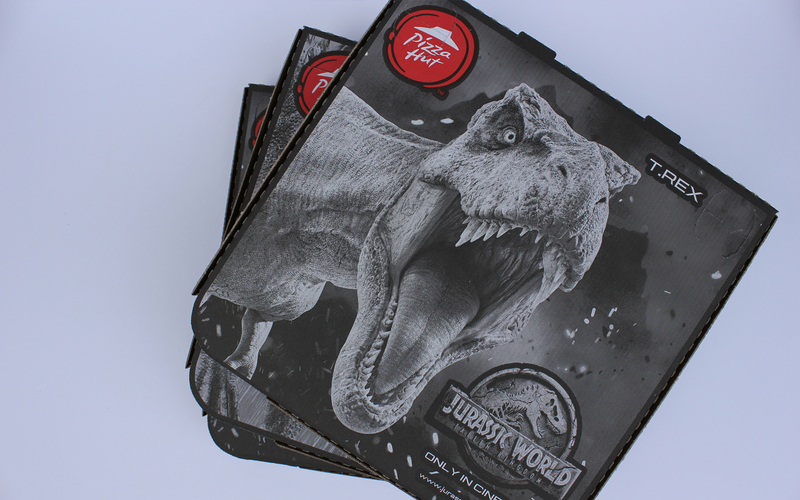 Printed by Saica onto thousands of pizza boxes, which were delivered during the theatrical release period.